I am beyond excited to introduce you guys to my first guest blogger, and one of my oldest and loveliest friends: Martha aka Gordy’s Mom! When I told Mar how my planned post for this week had gone to the dogs (yup, it was a real dog’s breakfast), she quickly and graciously offered to carry the torch (leash? .. okay, I’ll stop) this week. Because she’s just that kind of friend. So here it is: Fort Needham Park from the eyes of a true North Ender (and his mom). Being a North Ender, I was sad to see the Seaview Dog Park go. 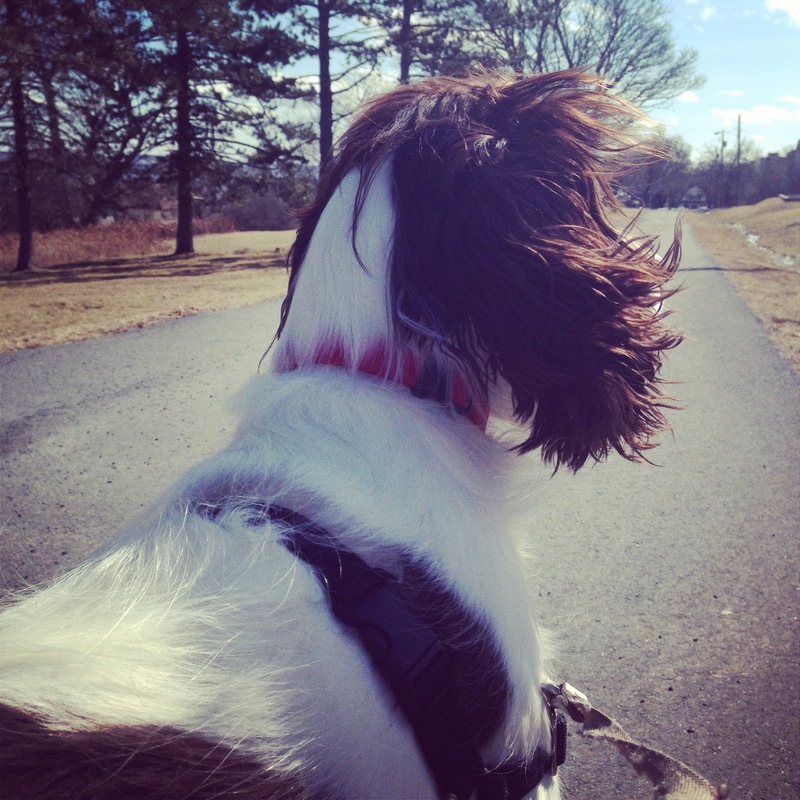 Not only was it a beautiful, fully-fenced space to let my dog roam, it was so close to my house, making it the perfect place to let my Springer Spaniel, Gordy, burn some energy. When the park was decommissioned in 2014, we knew we’d have to find somewhere else in our neighbourhood to play. We had heard numerous people talk about bringing their dog to Fort Needham’s off leash space, so we decided to check it out. While only partially fenced and not having the same diverse landscape as Seaview, Fort Needham is a decent option for those who live in the North End. Also home to the Halifax Explosion Memorial, the park has a partially fenced-in field designated for off leash dogs. Another perk is it’s located pretty much right across the street from the Hydrostones, meaning it only makes perfect sense to grab some drinks and snacks from Julien’s to enjoy while your pup plays. Special park bonus: while totally coincidental, there have been puppies (!!!) there multiple times we have visited. Overall, while the park doesn’t compare to the vast space of Seaview, it is a great urban area to let your dog get some off-leash time. All of the dogs, and owners, we’ve met there have been friendly which is always a bonus. Gordy gives Fort Needham two paws up! 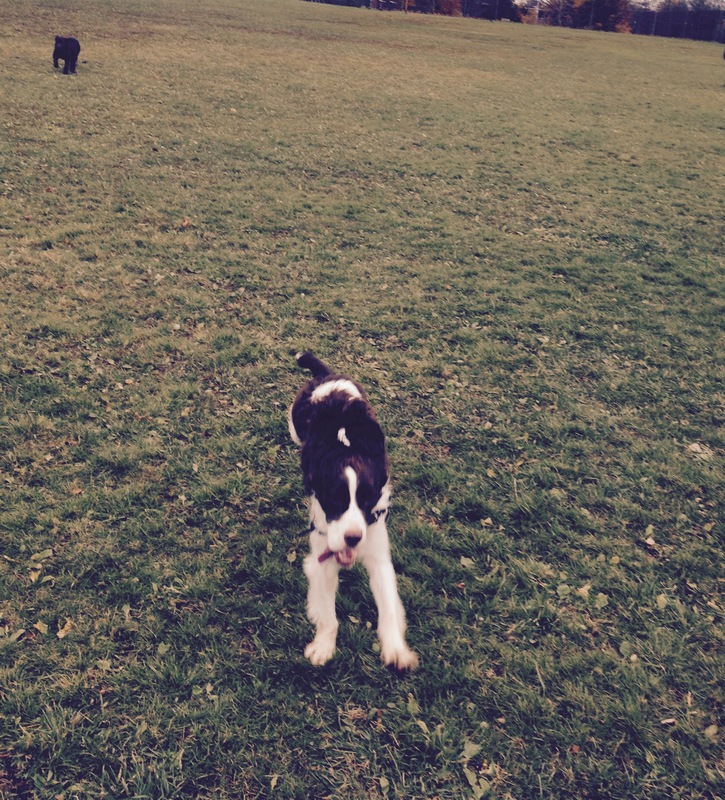 UPDATE: I have since learned that Fort Needham Park is at risk of losing its off-leash zone. Check out my follow-up post: Plans for Fort Needham Park Present Another Blow to North End Dog Owners.